I think I’ll go eat worms. look at them wiggle and squirm. and throw the tails away. I am a big believer in trying local foods when you travel. In Peru, I ate a guinea pig. So in Botswana, I must worms. 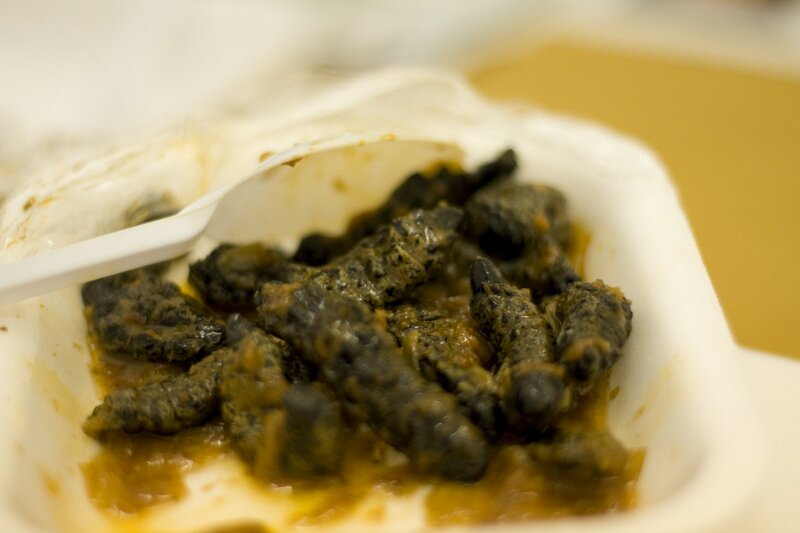 The mopane worms eat the leaves of mopane trees. These trees are all over Maun, so there’s an abundance of mopane worms in the area. They are not in season right now, so I’ve only seen them dried, stuffed in little clear plastic bags, sold by ladies in the Old Mall. These worms are quite thick. When they are dead and dried, they are still the size of my thumb. They are boiled in water until softened, and fried with onions and tomatoes. I bought a serving of it today at the local restaurant. It took a lot of courage to pick up a worm and put it in my mouth. My co-workers cheered and clapped as I chewed and swallowed the mopane. The texture and taste are not so bad. I would describe it as reconstituted dried meat cooked with onions and tomatoes. 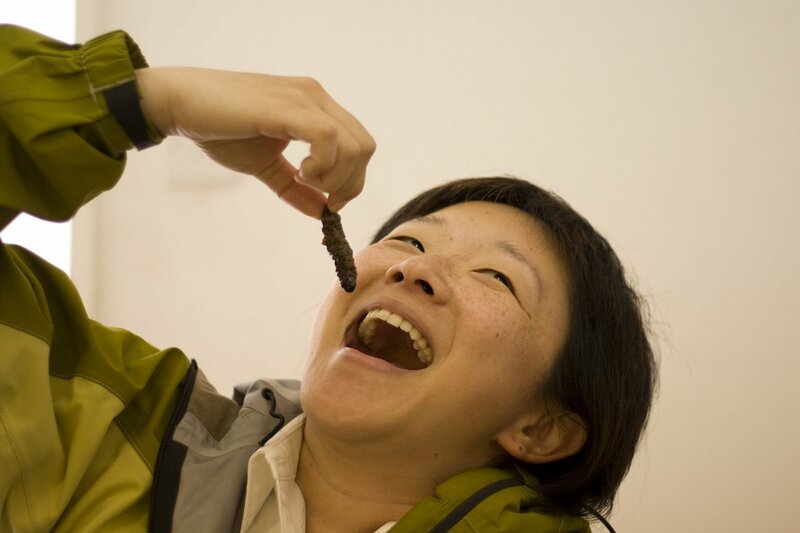 Hey, let me know if you want me to bring you a little bag of ’em mopane worms! This entry was posted in Random, Travel and tagged Botswana by angelasaito. Bookmark the permalink. It seems I have to entertain you with worms instead of cookies when you come back, haha!